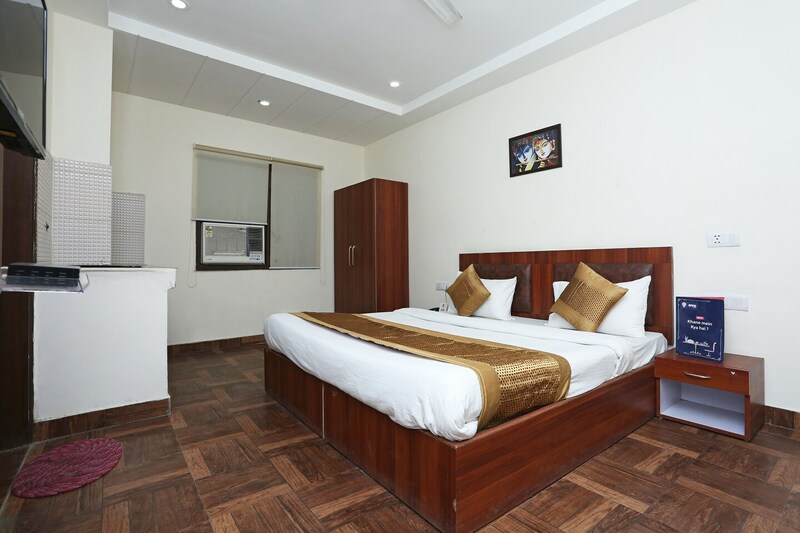 Hotel Aerotech is a simple modern property, with bright and comfy rooms, located in Mahipalpur, Delhi. It is very close to Aerocity metro station. Some tourist destinations near this place are Hanuman Mandir, Aravalli Biodiversity Park and Rose Garden. This hotel has bright and neat interiors, with paintings adorning both common areas and rooms. The rooms are spacious, have bright white walls and warm wooden accents. The bathrooms are neatly tiled and well-maintained. The rooms of this hotel come with free Wi-Fi, AC, TV, and bathrooms have geysers. The hotel also offers power backup, CCTV coverage, laundry service and card payment facility. Nearby eating joints are Resto 37, Bella Italia, Viva -All Day Dining and Biryani Blues. All of these restaurants are within 10 minutes from the hotel.